President-elect Donald Trump tapped on Friday a top Trump Organization attorney and an adviser on Israel during his presidential campaign to serve as the administration’s representative for diplomatic and international negotiations with a focus on the Israeli-Palestinian conflict. 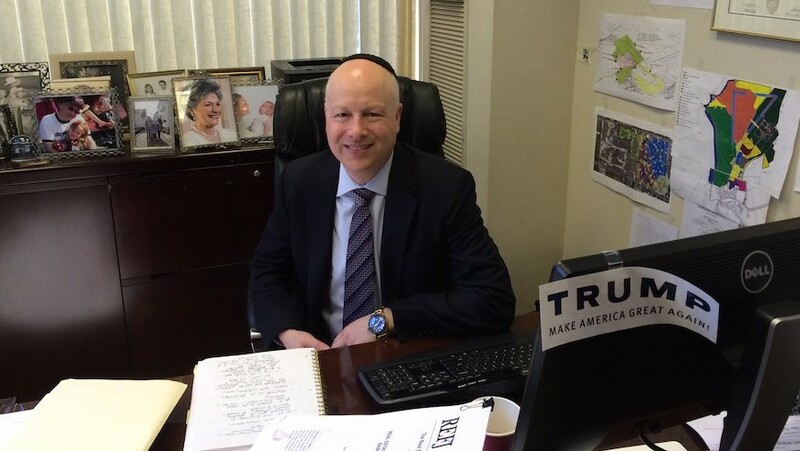 Jason Dov Greenblatt, the executive vice president and chief legal officer for the Trump empire, who along with David Friedman — the president-elect’s pick for ambassador to Israel — made up Trump’s Israel Advisory Committee, will take up the title of the Trump administration’s special representative for international negotiations. 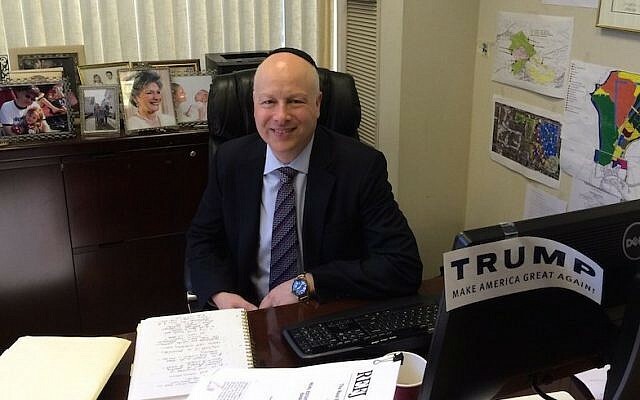 According to a source familiar with the appointment, Greenblatt, an Orthodox Jew, will be working mainly on the Israeli-Palestinian conflict, the US-Cuba relationship and America’s various trade agreements, CNN reported Friday. In a statement released Friday by the Trump transition team, Greenblatt said his “philosophy, in both business and in life, is that bringing people together and working to unite, rather than to divide, is the strongest path to success. “I truly believe that this approach is one that can yield results for the United States in matters all over the world. I look forward to serving on President-elect Trump’s team, and helping to achieve great outcomes for our country,” he said. In an op-ed for CNN in June, Greenblatt argued that Israel had a right to designate its own capital, pledging that the Trump administration would recognize that capital as Jerusalem, in a reversal of US policy for decades. Greenblatt also said that Trump believed that “a unified Jerusalem must remain open to all worshipers, and the reality is that any threat to Israel’s rule over the city would imperil that free access,” further arguing that Israel should retain control of it to ensure religious freedom for all faiths. The Palestinians claim East Jerusalem as the capital of a future Palestinian state. Trump and his team have also pledged to move the American embassy from Tel Aviv to Jerusalem, and while US presidents have repeatedly waived a law requiring the embassy to be moved, Trump has signaled real intention to go ahead with his campaign promise. 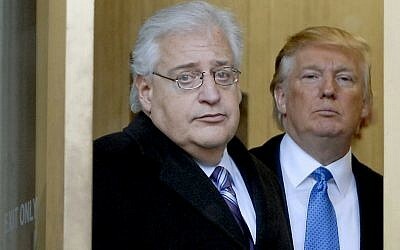 Friedman’s appointment earlier this month as the ambassador to Israel garnered criticism from liberal Jewish-American groups, who called the nomination reckless and dangerous, and Jewish congressmen who argued that the pick underscores the incoming administration’s “extremist agenda,” and will strain the Israel-US relationship. 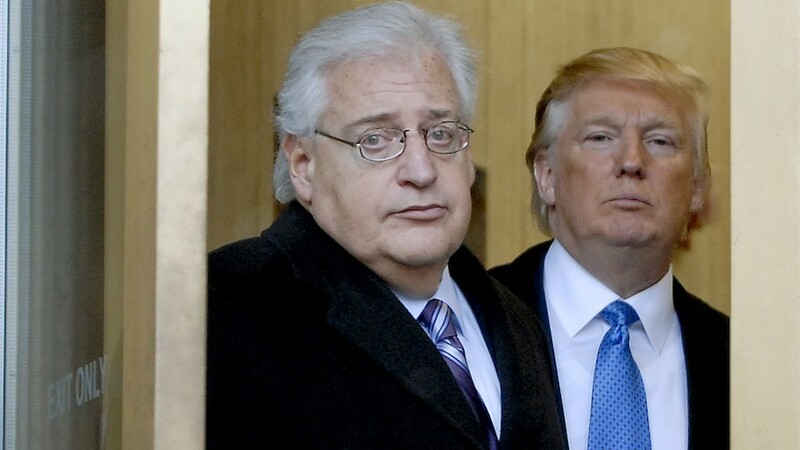 Over the course of the presidential campaign, Friedman was outspoken on his belief that West Bank settlement activity is not an obstacle to peace and that Israel does not face a “demographic threat” to its Jewish character if it fails to separate from the Palestinians. Friedman’s nomination also drew ire over a June column for the right-wing Israel National News website, in which he accused supporters of the liberal Jewish-American group JStreet of being “far worse than kapos,” referring to Jews who aided Nazis during the Holocaust.